Composting worms need oxygen, but how much airflow do their bins need? While starting a worm bin is quite simple, the reasons for the bin design are more complicated. All worm bins need air holes, proper drainage, and suitable bedding. Without a proper design, a worm bin becomes a coffin for sick worms. And the smell! Thus, using a standard worm bin design is important to composting success. If you want to turn kitchen scraps into valuable fertilizer, find out about airflow in composting worm bins. Can You Re-Use Worm Leachate? Is It Worm Tea? To someone who composts with worms, worm tea and worm leachate might sound like the same thing. However, they are completely different. Worm leachate is the runoff from a worm bin. Worm tea is brewed from worm castings. Is worm leachate useful for fertilizing your plants? Can worm tea fertilize plants? Can you re-use worm leachate? While dumping coffee grounds into the trash, you might wonder, “Can I re-use coffee grounds?” Fancy coffee blends and pods are expensive. 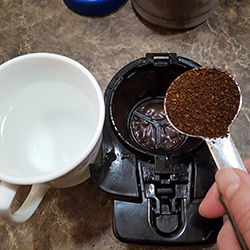 Is there a way to brew an additional cup or pot from used coffee grounds? Where should you put used coffee grounds? If you can’t re-use them, can someone or something else use them? The Economics of Coffee Grounds Coffee brewed at home has become increasingly diverse. In the past, only a few factors distinguished one coffee from another. Roast and brand name were the main attributes setting ground coffee or coffee beans apart. However, in the past 25 years, Americans have become fussier about their coffee. Is it organic? Fairtrade? Where was it grown? What is the strength? The acidity? Flavored? The coffee aisle at the grocery store has a dizzying array of choices. Specialty coffees from the health food store, coffee and tea boutiques, online mail order, and coffee shop chains mean even more selection. Where Do Composting Worm Babies Come From? Are sub-freezing temperatures on their way? Composting with worms does not have to stop in the winter! 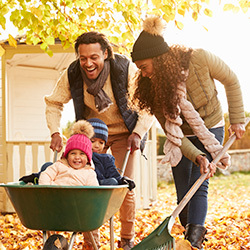 If you live in a cold climate, your composting worms can continue working when winter approaches. You need to make some decisions. Here are your choices: Do nothing. Insulate. Move the worms to a sheltered location. 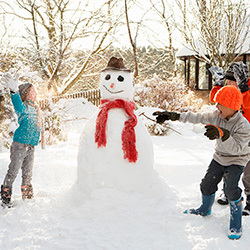 Move the worms to a heated location (such as in the house, heated outbuilding or basement). Wild worms fend for themselves during freezing temperatures. A rabbit hutch is a mess unless you can automatically dispose of the waste. Rabbit poop, urine, spilled food and water, and bedding need to be cleaned out of the hutch regularly. Did you know that a rabbit hutch wormfarm cleans itself? Waste falls through the floor of the bunny hutch, straight into a composter populated by worms. The results are a clean hutch and valuable organic fertilizer. 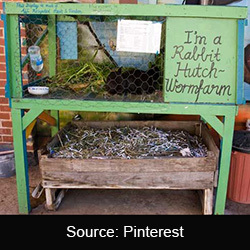 How do you make a Rabbit Hutch Worm Farm? 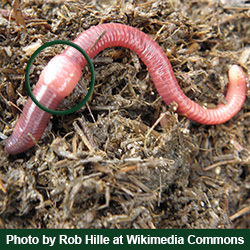 Composting with worms is easier than you might think! Hesitating before starting a new composting project? 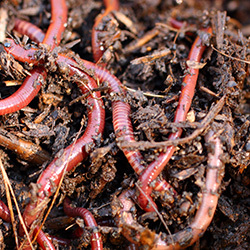 Take a look at these five common vermicomposting myths. 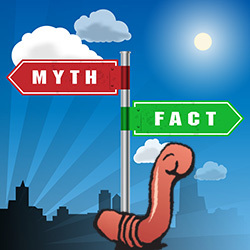 Myth: Composting is a Ton of Extra Work Facts: The worms do most of the work. They convert kitchen scraps into valuable fertilizer 24/7. Initial setup takes less than an hour; more if you build your own composter from a tote or wood pallets. Collecting kitchen scraps add very little time to kitchen cleanup. Feed the worms every few days in about two minutes. 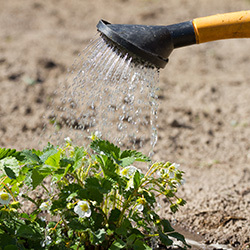 Several times a year, you can harvest the valuable worm castings. 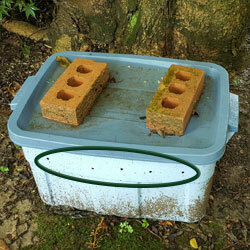 Typical harvesting times: Tray-based composters: Takes 1 minute to remove the bottom tray. The worms should be fed in the top tray, so the bottom tray should have few or no worms. Or Compost bin with a door in the bottom: 5 minutes. Open the door and scoop out what you need. Or Generic compost bin, tote, or pile: Choose from manual sorting, making piles, or sifting through a screen. 30 minutes or more depending on the amount of worm castings. Or Add 10 to 20 minutes to sift the fertilizer through a screen. Optional. Screening removes sticks, rocks, debris, indigestible items, fruit stickers. Screening also makes the compost fluffier, which helps regulate soil drainage. Composting worms speeds up the composting process. New worm bin owners tend to make mistakes. Once you get the hang of vermicomposting, you will love it! Reducing trash, saving the earth, and creating free fertilizer makes worm composting worthwhile. Your household might even adopt the worms as members of the family! 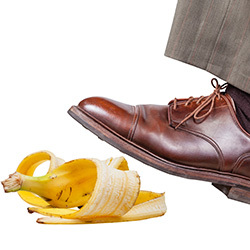 Watch out for these five common mistakes. Mistake #1: Overfeeding Enthusiastic worm bin owners toss every available scrap into the bin. The worms cannot keep up. The bin starts to smell terrible! In theory, worms can eat their weight in scraps per day. However, that number might be lower, depending on air temperature and other factors. A fool-proof method is to feed them every 2 to 3 days. Be conservative in the quantity. Soon, you will get a feeling for how much food they can handle.